If India is looking to win the World Cup for their legendary batting genius Sachin Tendulkar, then South Africa want to do the same for their batting talisman, Jacques Kallis. Kallis, 35, is playing in his fifth World Cup, and one thing he yearns, like the whole of South Africa, is a World Cup winner's medal. 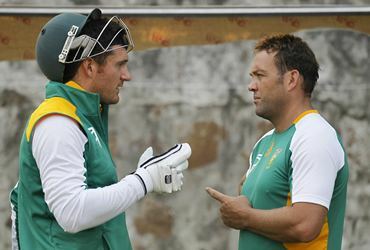 South Africa captain Graeme Smith stressed that Kallis, with all the experience behind him, holds the key to his team's fortunes in the mega-event. "Jacques has been a talisman for us. He's held South African cricket together for 15 years now. So he's been a pillar of a lot of the way we have played and built teams around him and he's been very successful for us. "I think he, in particular, wants to have a really great World Cup which is exciting. He is an important cog in our team. I think it's just about going out there and playing well as a team. If we can get confidence going, get a good run going, then we are a team that can really get some good things going," said Smith, in Delhi on Wednesday, on the eve of their opening match against the West Indies. 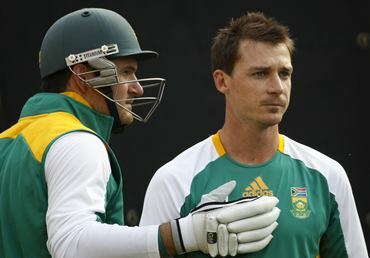 This is Smith's last assignment as captain of South Africa's ODI team and he is confident of ending on a high. "To be honest with you, I am in a very good place at the moment. I am just excited to be able to lead the guys. I feel I am best prepared going into this tournament as I have been throughout my career. "I have gained good experience through the other tournaments, in 2007 [World Cup] in particular; I gained a lot out of that. I feel I am in the best place to lead the guys through this tournament. I am really proud of the group of guys that I have got around me. "It will hopefully bode well for an exciting tournament. But I just want to leave it all out here. It's my opportunity to lead the team and leave it all out here," he said. The left-hander is wary of the threat West Indies pose and he believes their unpredictability makes them a dangerous side to play in one-off matches. "I think consistency-wise, they haven't been as good as the other teams over a lengthy period of time, but they have match-winners and that's why playing them in a one-off game makes them very dangerous. "They have guys who on their day can really punish you and take the game away from you. That is why in Cup competitions, they are a very dangerous opponent to come up against." Having witnessed the conditions in India in the last two weeks, Smith also believes that dew might play a part in the tournament. "It is disappointing that there is dew around. You don't want it to play a part in the tournament but it's going to be a reality. I know they are taking all the measures possible to curb it, spraying the field and stuff but it will probably play a part throughout the tournament," he said. 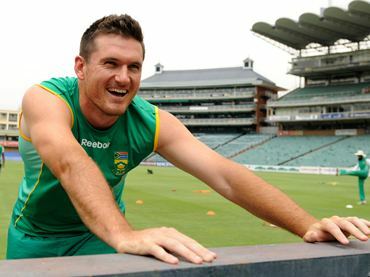 The Proteas skipper is also hoping that his team finally breaks their World Cup curse and progress past the semi-finals stage. "We obviously need a little bit of luck to go through a tournament. We have made a few semi-finals; it will be nice if we could go a couple of steps further. But we are just really focussed on tomorrow; we are taking it step by step throughout the tournament, looking to enjoy our experiences of the World Cup in India and there's no doubt in my mind that we have got the players that if the moment arises. I really believe in the guys we have got that they will take it. Smith also sounded a word of his caution to his opponents, saying this is one of the best bowling attacks in the tournament. "I think I believe we have a lot more variety than we did in 2007; I felt we had a lot of similar type bowlers in the Caribbean. We now have pace, we have bounce, we have left-armers, we have got a few spin options. I think it will be more difficult to prepare against us, the variety is there."